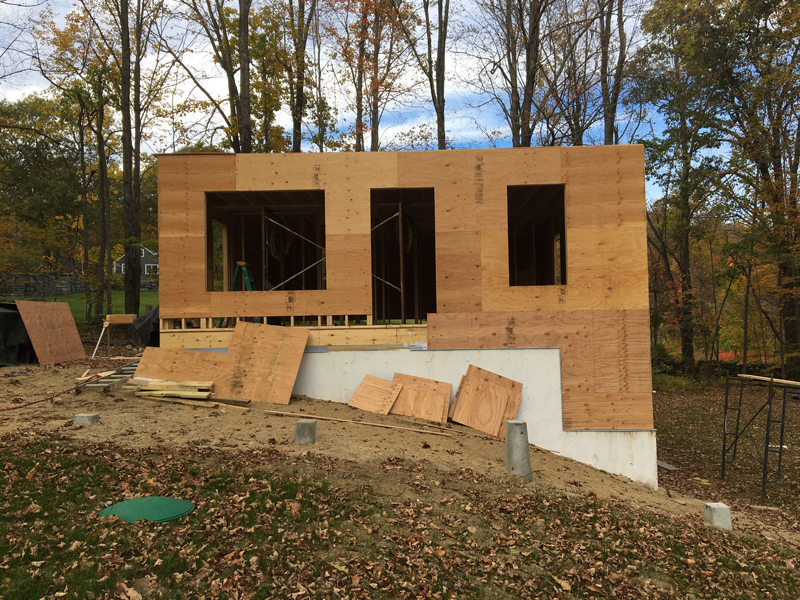 Thanks to the generosity of our Cottage Campaign donors, we have begun construction on two new cottages in our back field. Each of these new cottages will have two bedrooms with a shared bath and kitchenette and will allow us to accommodate more yogis and more self-study retreatants. They should be completed in time for Spring 2018 courses. These are in addition to the new cottage we built earlier in the year for Bhikkhu Analayo who is very happy living at BCBS. Deep, deep gratitude to all those who helped (and continue to help) make this project possible. The frame is up for the cottage on the north end of the field. 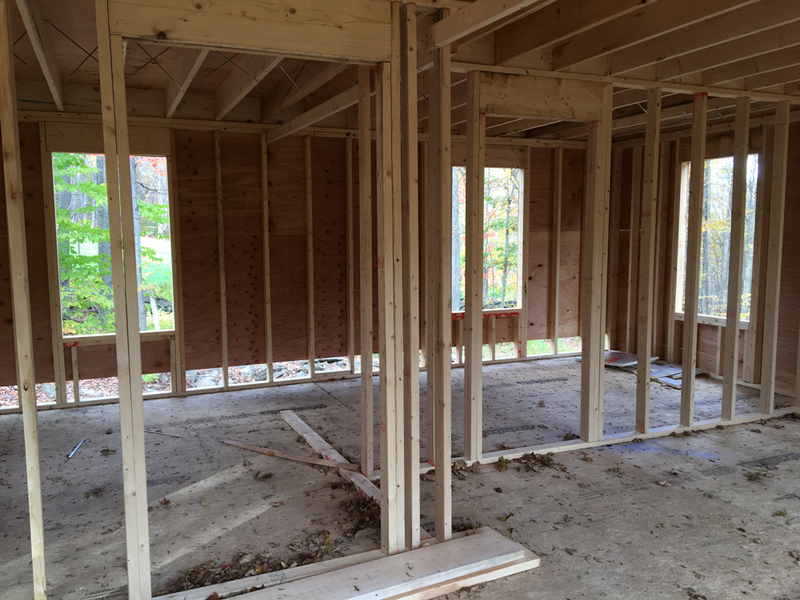 The walls are just coming up for the two bedrooms in our new cottage.